Findings from a baseline study made for the SPIDER supported project using ICT to enhance early grade literacy and numeracy in Nyarugusu refugee camp. The camp is located in Kasulu district, Kigoma region, Tanzania. This research article presents findings from a baseline study on one of Spider-funded projects in Nyarugusu refugee camp. The camp is located in Kasulu district, Kigoma region in Tanzania. The camp has two groups of refugees: Congolese and Burundian refugees. The project “Enhancing Early Grade Literacy and Numeracy Using Digital Content among Primary Schools” is implemented by University of Dodoma and aims to improve education standards and learning outcomes for primary school children who are living in refugee villages. Schools in refugee camps face complex challenges. 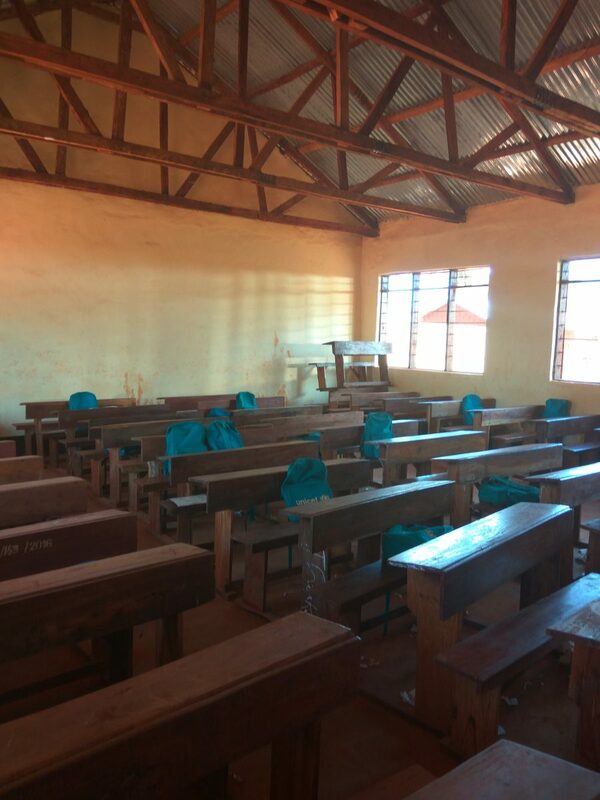 In Nyarugusu for example this study found that three schools: Safari, Maendelo and Nuru lack permanent classroom structures and the available structures are few compared to the number of students. Classrooms are often congested which makes it difficult for teachers to perform effectively. Moreover, a majority of teachers are paraprofessionals – the report shows many do not have enough training to teach in primary schools. The research involved 1252 grade one and two pupils and 27 teachers of Burundian refugees and aimed to study literacy and numeracy skills and to establish experiences of using ICT to teach literacy and numeracy. Data was collected by means of semi-structured interviews and observations. Only 20% of 481 grade one pupils could write all Kirundi alphabets. 4.4% of the same population “were not able to write even a single letter”. In grade two, only 19.5% of 538 pupils could write the Kirundi alphabets and 16% were not able to write the same at all. Classroom observations revealed that some pupils from both grades could hardly write their names without the assistance of the teachers neither could they write meaningful words during dictations. Only 9.1% of 475 pupils and 21.5% of 538 pupils in grade one and grade two respectively could compose words from given letters. The above findings show that many pupils lacked reading and writing skills. Arithmetic tests included oral counting, number recognition, object counting and performing arithmetic operations. 4% of 484 grade one pupils could not count a single number in one minute. 12.4% were able to count up to 11 numbers in a minute, 10.1% were able to count up to 20 in a minute and 76.4% could count up to 20 and above in a minute. Among 565 grade two pupils 2.7% and 8.1% could count up to 21 and 40 numbers respectively in a single minute. 20.9% were able to count from 0 through 60 and 35.2% were able to count between from 0 through 60 and up to 80 numbers. When it came to number recognition, only 3 pupils in grade one failed to recognise numbers presented to them (numbers between 0 and 20) while 5 pupils in grade two failed to recognise any numbers presented to them (numbers between 1 and 99). Counting of objects registered failures and successes for pupils from both grades. 6.2% of 615 grade one pupils and 7% of 758 grade two pupils were unable to count objects from the first set of objects but the rest could. Performance slightly declined for the second and third sets of objects and was poor for arithmetic operations. 126 pupils in grade one and 151 pupils in grade two could not add but 204 and 201 for both grade one and two respectively could. 166 pupils in grade one and 452 in grade two could not subtract compared to 210 (grade one) and 125 (grade two) who could. Multiplication and division were the most poorly performed where 46.7% of 458 pupils and 30.5% of 751 pupils in grade one and two respectively could not multiply while 44.6% of 439 in grade one could not divide and 36.1% of 750 couldn’t do the same in grade two. The research highlights a lack of appropriate teaching strategies and pedagogical skills which could be one of the reasons students are unable to read, write and count well. 18 teachers out of the 27 who were interviewed had up to grade 13 level of education. Only 9 teachers had grade 14 which is, according to the baseline report, the required level of education for primary school teachers in Burundian system. Therefore 18 teachers were paraprofessionals who need further education and training. The teachers had only 3-6 years of teaching experience but none of them had experiences of using ICTs to teach literacy and numeracy. Based on the findings highlighted in this article, Spider will continue to support partners to: apply use of ICTs as a form of intervention, equip teachers with ICT and pedagogy skills, provide the necessary facilities such as school libraries that will provide a good environment for teaching and learning. These are some of the further steps to take recommended by the report. Further research is being conducted to establish the impact of the recommended change initiatives.